Did For-Profit College EDMC Merge Canadian and U.S. Campuses to Evade The Law? The nation's second largest for-profit college businesses, troubled Education Management Corp. (EDMC), last year designated a Canadian college that it owns as a satellite campus of one of its U.S. colleges located 1,500 miles away across the border. That questionable merger might have allowed EDMC, which is 41 percent owned by the investment bank Goldman Sachs, to evade a U.S. law aimed at protecting students against predatory schools peddling useless degrees. The federal law, the 90/10 rule (20 U.S.C. section 1094(a)(24)) requires for-profit colleges to obtain at least 10 percent of their revenue from sources other than U.S. Department of Education-backed student grants and loans. The purpose is to keep federal aid away from schools on which almost no students would spend their own money, and that almost no outside scholarship fund would support. For-profit colleges now receive 25 percent of all of this taxpayer education money -- some $33 billion a year. But many of these schools offer a toxic mix of deceptive marketing and high-priced, low quality programs that often leave students with worthless credits, unimproved job prospects, and insurmountable debt. With 13 percent of U.S. college students, for-profit colleges now account for 47 percent of federal student loan defaults. Some public attention has been focused on efforts by for-profit colleges to evade this 90-10 rule by relentlessly recruiting US troops and veterans, who receive military education benefits that, through manipulation by for-profit college lobbyists, somehow count toward the 10 percent non-federal aid measure. But it appears that for-profit colleges may also be engaged in merging campuses to accomplish the same aim, and keep federal money pouring into their coffers. And this new wrinkle, merging with a foreign campus, where most or all students would not be eligible for U.S. financial aid, opens up another loophole that, if unchecked, could subvert the purposes of the 90-10 law. I was unable to locate Ex EDMC or to verify that he or she was ever actually affiliated with the company. I sought EDMC's comment on the claim that the merger was undertaken for purposes of evading the law, but EDMC's response (see below) did not shed much light on the situation. I would certainly be pleased to hear from Ex EDMC or anyone else with knowledge of what happened. EDMC's SEC disclosure forms do show that the Art Institute of Vancouver switched from being an independent campus accredited by a Canadian agency in 2010-11 to being a satellite of the Phoenix campus and thus accredited by the U.S. Accrediting Council for Independent Colleges and Schools (ACICS), at least by the time of a September 12, 2012, SEC filing. Since for-profit colleges report 90/10 figures by [the federal] Office of Postsecondary Education ID (OPEID) numbers, instead of by campus, and one OPEID may contain multiple campuses, some companies consolidate and switch campuses between OPEIDs to lower their reported 90/10 number regardless of the proximity of the campus. EDMC discussed internally a consolidation and reorganization of its campuses in late 2009 in part to address concerns with 90/10 issues at some campuses. The Harkin report concluded that some for-profit colleges may also have been merging campuses to evade a separate federal provision, one that removes campuses from eligibility for federal aid if too many of their former students are defaulting on their student loans. Harkin subsequently raised these issues with the Department of Education. A December 2012 letter to Secretary of Education Arne Duncan from Harkin and seven other Democratic Senators charged that "there is evidence" that for-profit colleges have merged campuses for federal reporting purposes "to avoid potential sanctions, including loss of federal financial aid eligibility." In a recent letter responding to Senator Harkin, Secretary Duncan addressed the concern about using mergers to avoid the loss of federal aid eligibility under the 90/10 rule, but he wrote "nothing in the statute or regulations currently prevents companies that own more than one institution from applying for Department consent to combine them, or from applying to shift additional locations from one institution to another, in order to maintain eligibility under those provisions." However, the fact that "nothing ... prevents" for-profit colleges from applying for consent to merge designations does not mean the Department of Education is required to approve every merger, no matter how questionable. And, as far as I know, no one has publicly pressed the issue of a for-profit college combining foreign campuses with U.S. campuses as a convenient way to evade the law. I hadn't heard of this novel scheme, but, if the allegation that EDMC is merging a Canadian stand-alone with a U.S. campus is true, it would certainly provide a new twist on Harkin's concerns about the gaming of 90/10. Given the very high cache that U.S. credentials enjoy in many countries, I could see the for-profits setting up loss-leader "branch campuses" overseas, just to earn their 10 cents on the dollar there. This would be somewhat complicated by [U.S. Department of Education] Title IV regulatory requirements, as well as by local regulations (if any). I contacted Jacquelyn Muller, Vice President for Communications and Public Relations at EDMC and asked her: Why did EDMC decide to make the Art Institute of Vancouver a satellite campus of the Art Institute of Phoenix? Was compliance with the federal 90/10 rule a consideration? What does the Art Institute of Phoenix compliance with the 90/10 rule look like since the combination if you remove revenue from the Vancouver campus? Did the U.S. Department of Education provide consent for that combination? If so, when did EDMC make that request, and when did the Department approve it? Did the Department require that Art Institute of Vancouver obtain ACICS or other US accreditation? Did the Department mandate any additional actions in order for the merger to occur? The decision to make The Art Institute of Vancouver a branch of The Art Institute of Phoenix was approved by the Ministry of Advanced Education of British Columbia, ACICS (the institutional accreditor of The Art Institute of Phoenix), and the U.S. Department of Education. 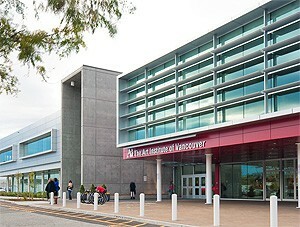 As a result of this change, students attending The Art Institute of Vancouver may now graduate from a U.S.-accredited institution and U.S. students who are eligible for U.S.-based Title IV aid will have the opportunity to apply for aid to study at The Art Institute of Vancouver, which has been recognized by The Princeton Review as one of the top ten "Undergraduate Schools to Study Video Game Design" for 2013. Education Management is committed to providing students from a variety of socioeconomic and educational backgrounds the opportunity to improve their lives through higher education, and to assisting in improving and educating America's workforce. We remain dedicated to offering every advantage to our students in their pursuit of their career goals. I followed up to ask Muller if she could answer my questions, since her response really answered only one of them -- confirming that the U.S. Department of Education approved the merger. Muller has not responded. We reviewed the application under the existing procedures and requirements, and Art Institute of Vancouver was approved as an additional location for the Art Institute of Phoenix last August. The Department may not have anything to say about the EDMC action now, but there could be regulatory solutions to this problem. The Institute for College Access and Success, a non-profit focused on higher education policy issues, has already proposed reforms to address the issue of evading the 90/10 rule and the default rate rules through mergers generally: The Department of Education could either prohibit changes in OPEID reporting units, or require continued compliance under previous OPEID numbers for at least three years after any change. As to the specific evasion embodied by EDMC's action, Nassirian suggests that we consider refining 90/10 to provide that schools obtain at least 10 percent of their revenue from non-federal money earned within U.S. borders. Any changes in rules, however, will likely be met with the same onslaught of expensive lobbying and lawyering, and buying powerful friends, that the for-profit college industry has used to block previous Obama Administration efforts to impose some basic accountability on this sector run amok. Just this week, a federal judge in Washington DC succumbed to legal arguments proffered by one of the nation's fanciest law firms and delivered a second whack to a central Obama reform -- the gainful employment rule, aimed at cutting off federal aid to programs that consistently leave students with insurmountable debt. This was a rule that already been extensively watered down after tenacious lobbying pressure from the industry, backed with campaign contributions spread across Capitol Hill. Since the biggest players in the industry receive about 86 percent of their revenue from taxpayers, we all paid for the lawyers and lobbyists dispatched to undermine the public interest. The Administration must now go back to the drawing board on this rule. It has the opportunity to produce a sharper, tougher, sustainable rule, and it owes it to students and taxpayers to do that. But the White House and Secretary Duncan also must lean on Department of Education officials to step up their oversight and enforcement of existing laws. (The new Consumer Financial Protection Bureau has acted with purpose to pursue wrongdoing in the education sector, but its jurisdiction is limited. And the Federal Trade Commission could also play an important role in curbing the industry's deceptive practices, but it needs assistance from the Education Department.) Senator Harkin and Senator Frank Lautenberg (D-NJ) this month introduced legislation to strengthen Department of Education oversight and enforcement of predatory schools. For-profit college lobbyists will surely fight this bill, too. But the Department already can do much more to show the wealthy for-profit college owners that their cynical free ride is over and reform is mandatory. It can, for starters, decline to approve the next proposed merger between a U.S. campus and a foreign campus, where it is plain that such a combination will subvert the purposes of laws aimed at protecting our students and taxpayers. UPDATE March 22 2:20 pm: Two internal EDMC documents from 2009 and 2010, obtained through Senator Harkin's investigation, discuss the possibility of using foreign satellite campuses and foreign students as sources of non-federal 10 percent revenue. Go here and see EDMC document 10, page 3, and EDMC document 28, page 8.